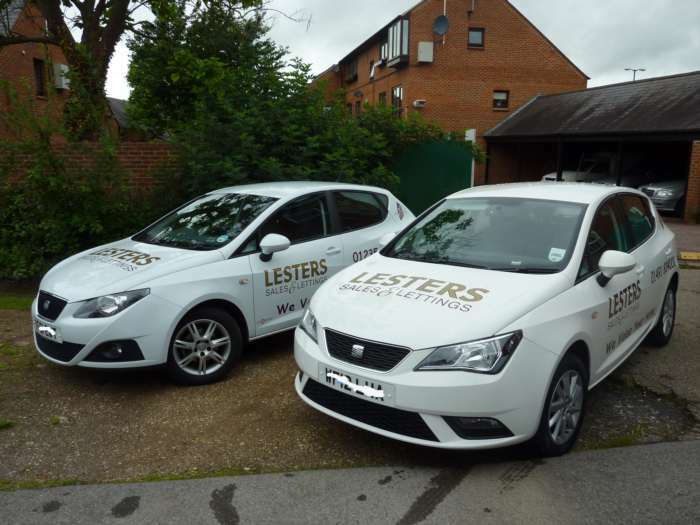 Lesters based at Didcot and Wallingford are always on hand to offer viewings to their customers in their branded cars based at their two offices. The two Seat Ibizas are all branded in the colours and ’20 years logos’ and can be constantly seen whizzing around the these two South Oxfordshire towns. Partner James Gesner comments: We have always been keen to offer this service to our clients and when we the first agent in the area offering this service with our Lesters minis many years ago we were always getting positive comments from customers and clients alike’. So if your browse our website lestersonline.co.uk and see a property you wish to view you can be rest assured on getting a lift or meeting at the property. There’s no mistaking us when we turn up!